SLC were proud to be sponsors of the RESI awards in April 2016. This was one of the biggest award ceremonies in the property market and it took place at the Grosvenor House, London. It was a superb evening and we were pleased to share the success of the property market with existing and potential clients. SLC had two tables at the residential dinner and enjoyed the fantastic atmosphere. Our congrats to the winners. 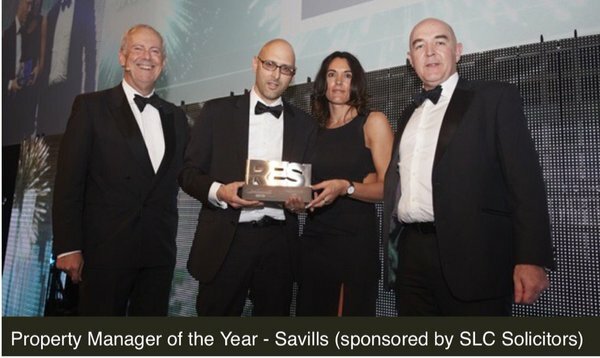 We had the honour of presenting the award of “Property Manager of The Year” to Savills.